The Isles of Collier Preserve Naples is a gated, waterfront, master-planned resort lifestyle community. Over half of the 2400-acres are dedicated to lakes, nature preserves, and natural habitat. Inspired by the architecture of Old Naples, elegant new homes overlook miles of kayak and hiking trails. Nestled within a pristine natural setting, Minto is creating a colorful update of classic coastal living. The Isles boasts 1600 unique coastal-themed new residences with stunning water and nature views. These homes include luxury villas, single-family homes and coach homes. The Isles Club is the epicenter of the community. 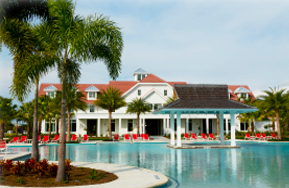 It features a state-of-the-art fitness center, resort-style swimming pool, lap pool, tennis and pickleball courts. There is also ample space for social gatherings and private activities. Opening soon, the Overlook Bar and Grill will offer residents a scenic backdrop while offering menus to tempt any foodie. Residents in The Isles have unceasing opportunities to enjoy the outdoors. There are miles of walking and biking trails meandering along the Cypress Waterway. Exercise stations and nature watch spots are interspersed along the way. For those who enjoy boating and fishing, a nearby private yacht club and marina offer provisions, fueling services and direct access to the Gulf. For additional information about real estate opportunities at the Isles of Collier Preserve, please complete the form below! I or one of my team members will respond to you within one business day.